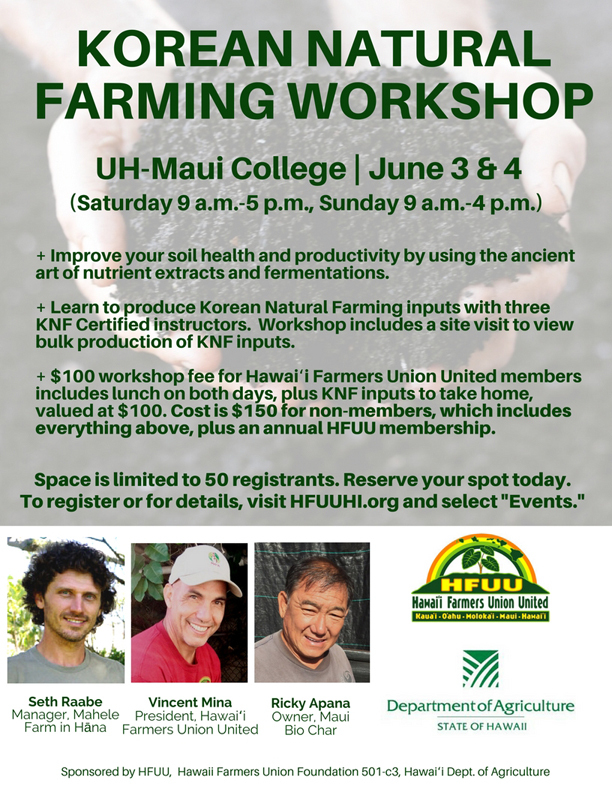 Improve your soil health and productivity by using the ancient art of nutrient extracts and fermentations. Learn to produce KNF inputs with three KNF Certified Instructors. park at UH-MC new Science Building.